Twilio is a wonderful communication as a service platform that allows sending SMS messages from your app via a REST API. In this blog post you will learn how to send an SMS message from the Appery.io Server Code in about 5 minutes. Sign into your Appery.io account (you will also need to have a Twilio account). Go to the Server Code page. Locate the Twilio plugin (Quickly send SMS message with Twilio) and click import. 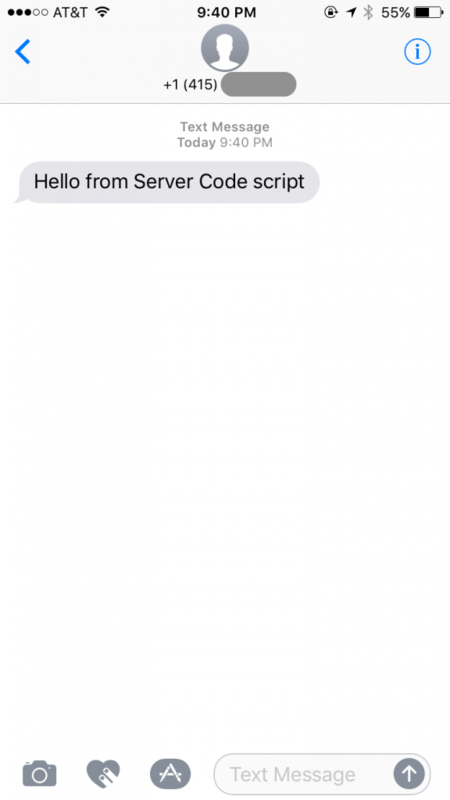 A script called Twilio_SendSMS that sends the SMS will be inserted in the Script panels. A library called Twilio_Base64_library that helps with authentication will also be inserted in the Library panel. You need to set the accountSid, the authToken and your Twilio phone number. You can find this information in the Twilio console. Once you set those values you are ready to test the script. Switch to Script parameters tab. These are request parameters into the script (and the API) and are read on lines 9-10. Switch to Test tab and click the Save and run button. Once you tested the Server Code script, it can be quickly added to your app. Here is a video that shows how to import services into an app. Every Server Code script is also an automatically a REST API. To see the endpoint for this script switch to API information tab. To learn more about Server Code, check our the Server Code YouTube playlist where you will find many short videos. 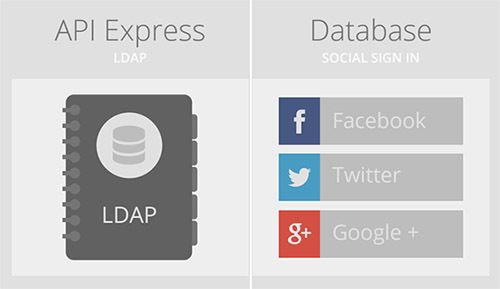 The Appery.io Database provides storage for your mobile app data. You can store data such as users, orders, purchases, products or anything else. The Appery.io Database is a cloud NoSQL database and provides a very simple and elegant REST API to work with the database. One of the most common cases for an enterprise mobile app is to create/save a new item/record and then redisplay the list in the app with the newly created item. Accessing the database directly from the client is fine but requires two requests to the database. A request to save the new item/record into the database. Once the 1st request completes, on its success, a request to get the updated list to display in the app. In this simple script you first create a new Person object (line 8) and then do another query to get the updated list of people (line 14). The script response returns the updated list of people. This script automatically has a REST API which is the invoked from the app. What’s most important, there is only a single request from the app to the Server Code script. A single request is usually better than two requests. Also, you can add additional logic to the script without impacting the app. For example, you can send an email when a new person is added. Or, you can send Push Notification when a new person is added. All this can be done without impacting the app. That’s nice. 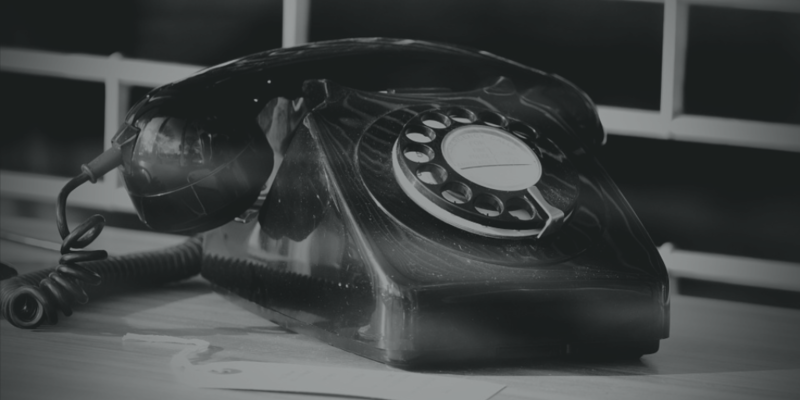 Last week Twilio launched a new API that allows to send faxes. From the very start Appery.io platform made it very simple to connect to any external REST API. 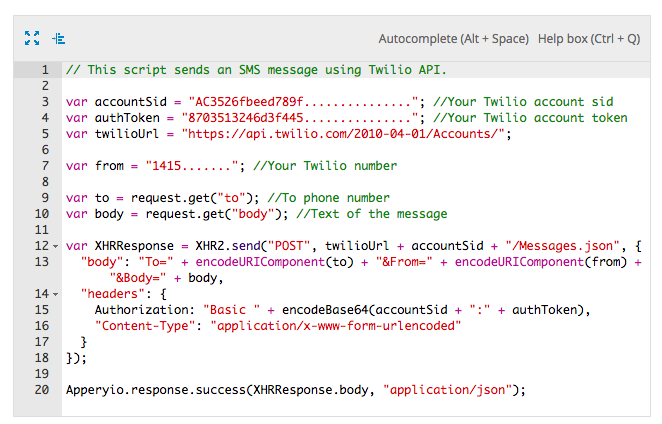 We love Twilio API and have an example and video on how to use the SMS API. The Fax API is as elegant and simple to use. In this blog post you will learn how to send a fax using the Twilio Fax API from a Server Code script. 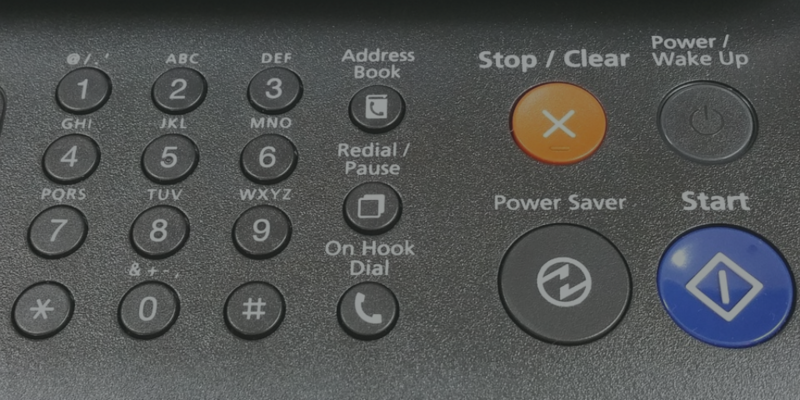 It can take a few minutes for the fax to be delivered, keep that in mind when testing. To learn more about Server Code check out our YouTube playlist. Happy faxing. Keep reading to learn more about what’s new in Appery.io.